Flowerama is a locally owned and operated florist. 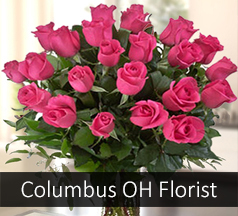 We operate four flower shop locations in the greater Columbus, OH area. Our firm has been serving Columbus, OH since 1990. We offer the best selection of farm fresh flowers, plants and gifts in town. Choose from local same-day or express flower delivery service. Flowerama Columbus has been voted "Best Florist in Columbus" on numerous occasions. Most recently in 2018.